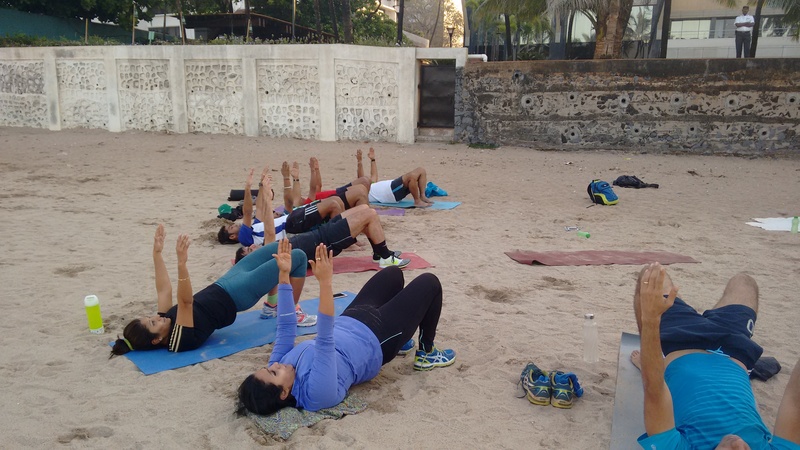 As part of Sponsorship for the Mumbai Road Runners‘ Awards Night, Kinetic Living offered 2 complimentary workshops on core, flexibility and mobility in March and May 2015. 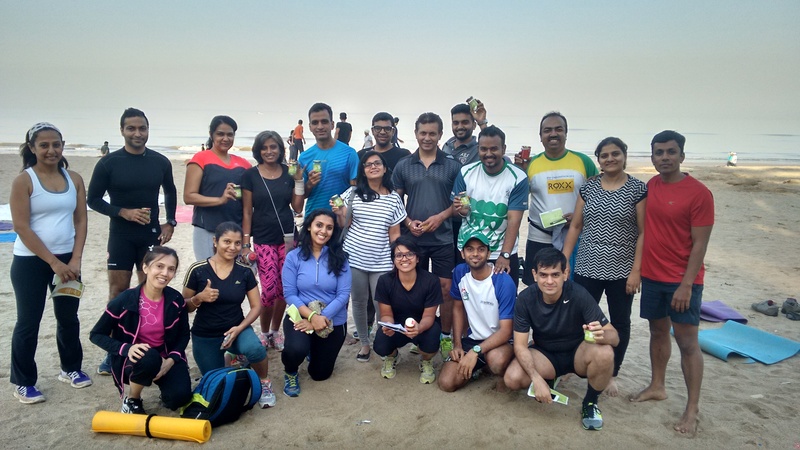 In the first of its series, Kinetic Living conducted a flexibility and core training workshop along with the city -wide group for runners, Mumbai Road Runners as well as outsiders. 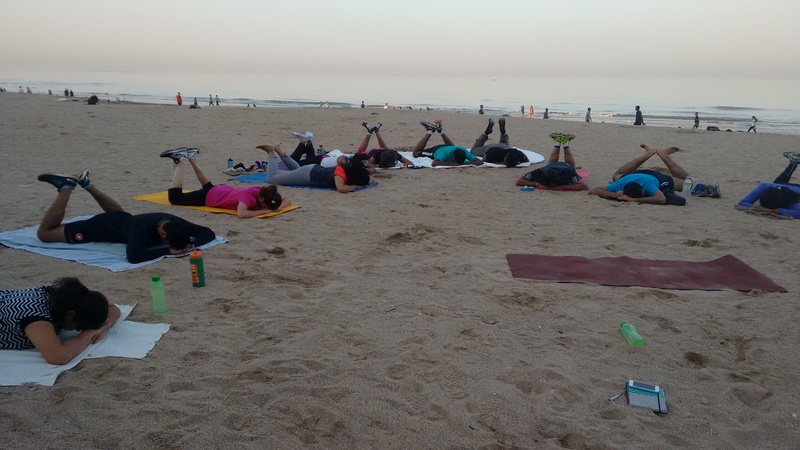 Participants were taught a flexibility sequence for the whole body and Plank-based drills. 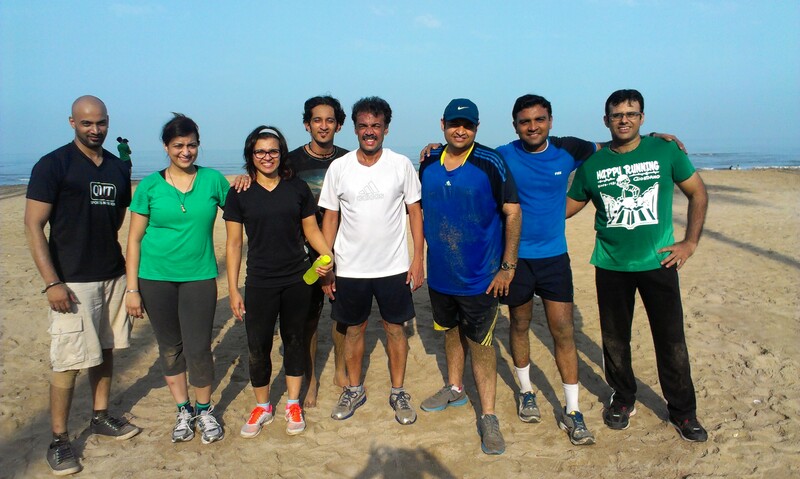 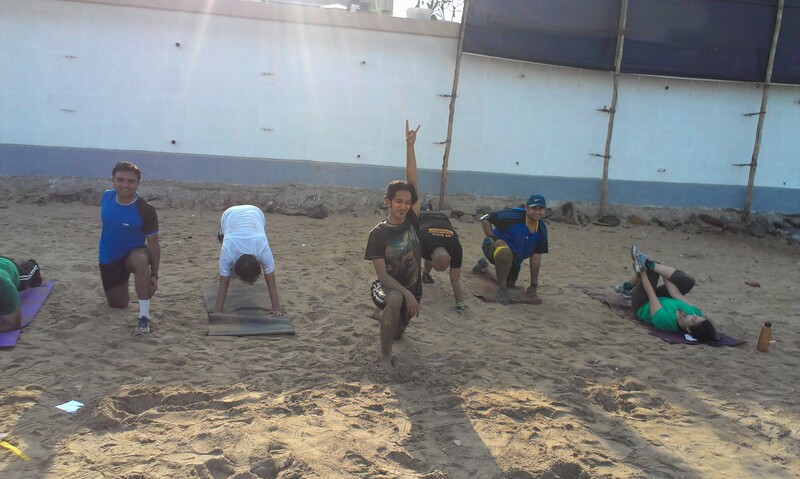 Date: 3rd May 2014, Juhu Beach. 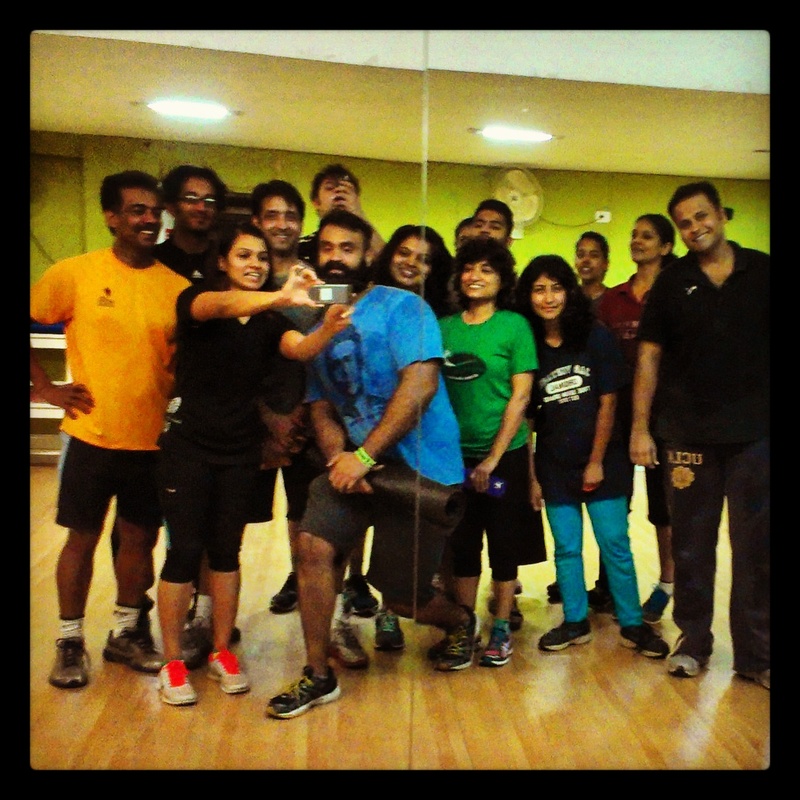 One more was conducted on 8th June, this time with double the response and double the enthusiasm. 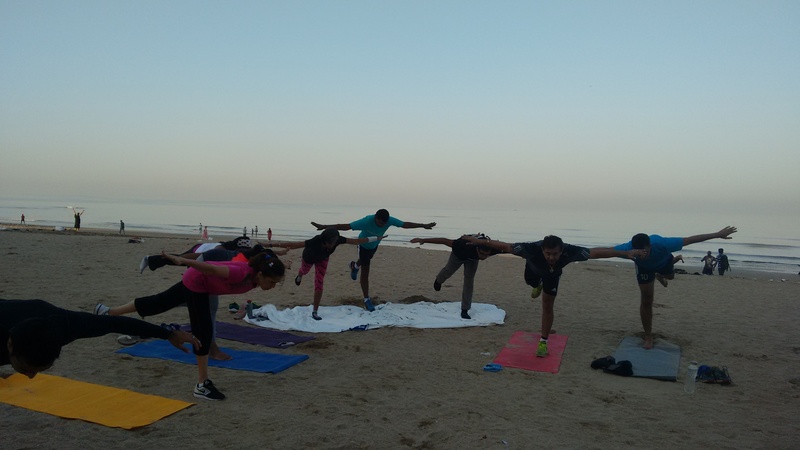 The type of participants included runners, footballers and general fitness enthusiasts.